GWINN — On Thursday, the Midwest Skills Development Center held their annual open house for the electrical line technician program. The open house is to bring prospective students in to see what it’s like to be a lineman and interact with the current students to see if the program fits their needs. Visitors got to tour the facility, meet the students and staff, and watched demonstrations of what the technicians will do in the field. The program is a nine month program followed by a four year apprenticeship. 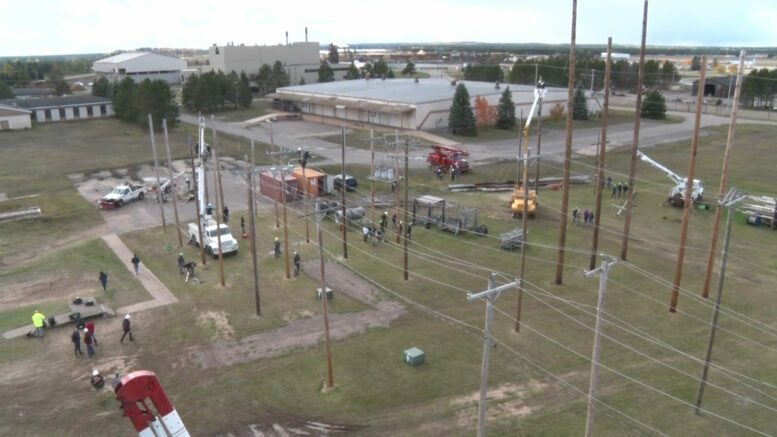 It was established to meet the current and future workforce needs in the Upper Peninsula, where students are taught the skills to be an electrical line technician.